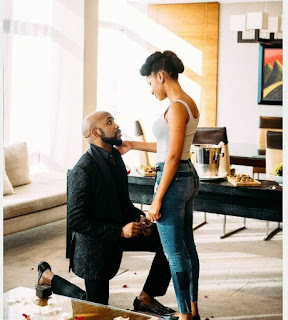 Celebrity news Banky W finally proposes to Adesua tolulope, her reply will shock you..
Banky W finally proposes to Adesua tolulope, her reply will shock you.. It's no longer a rumour or some sort of a movie shot but a movie drama that has come to manifest itself in reality. 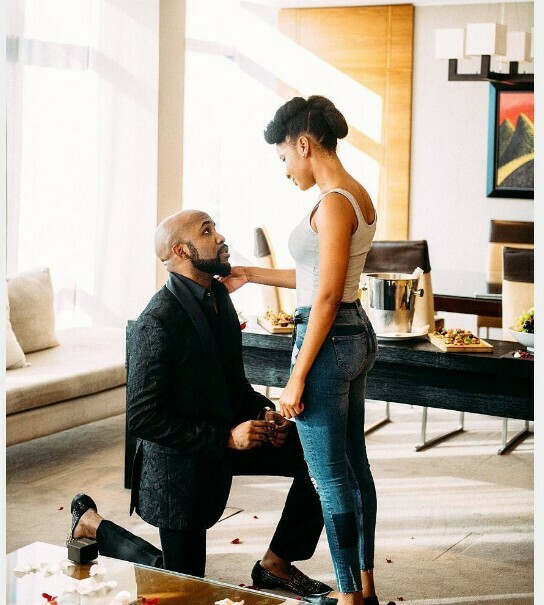 Popular nigerian rnb singer, Banky W has finally made his intention known at last. The " Made for you" crooner took to his Instagram page few hours ago to openly profess his love for pretty Adesua Tolulope Oluwaseun Etomi and she gave him a magic reply YES.